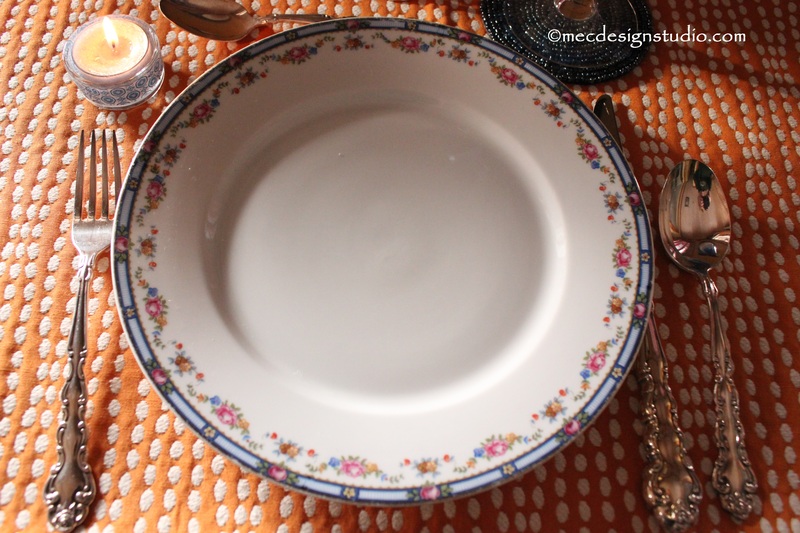 I haven’t use my pretty vintage china in a long time and since the plates have a dainty blue border, they’re perfect. 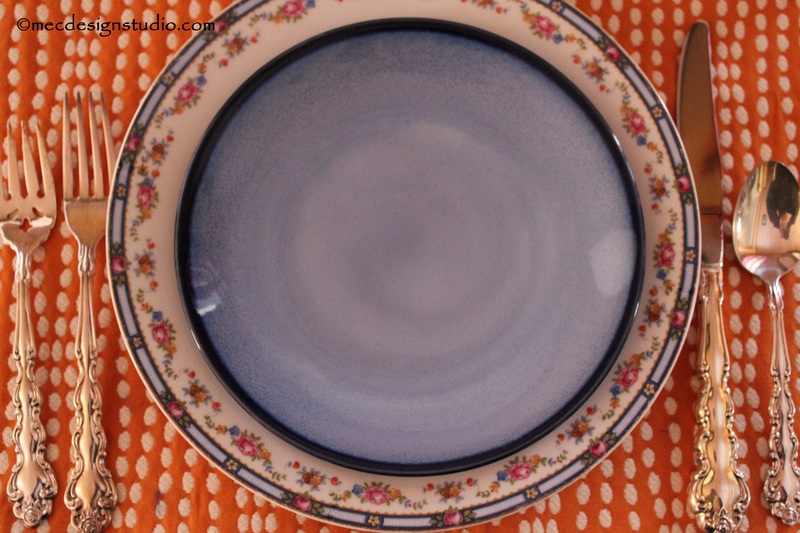 I pulled out blue salad plates I picked up at Goodwill and set them on an orange table cloth. 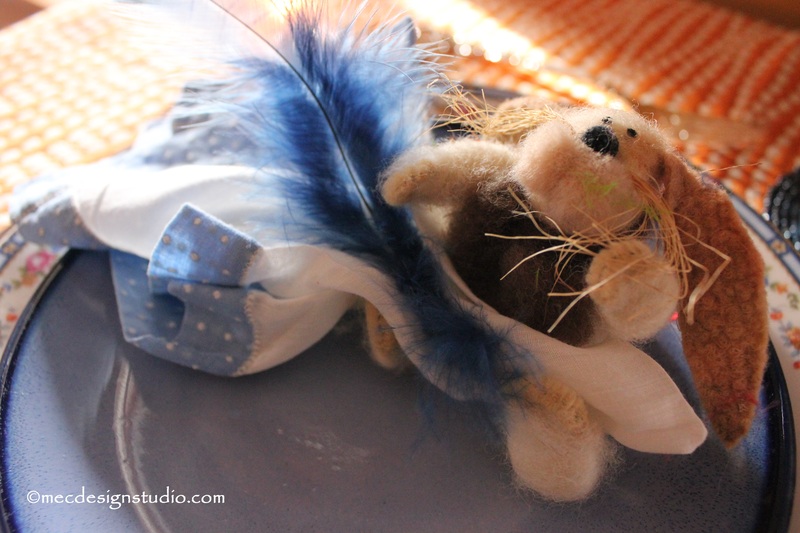 In my Easter “box” I found a hand-crafted bunny made from wool. He’s adorable. 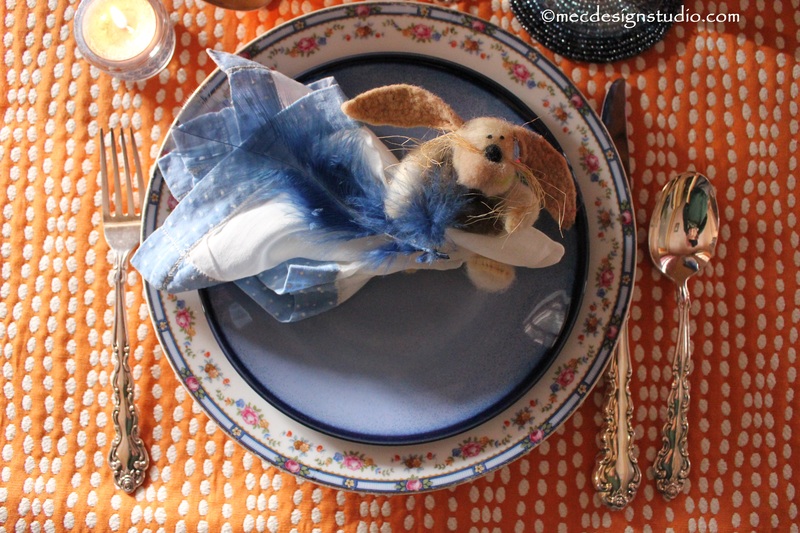 I tucked a vintage blue hanky with a polka dot border in his lap and added a blue feather. 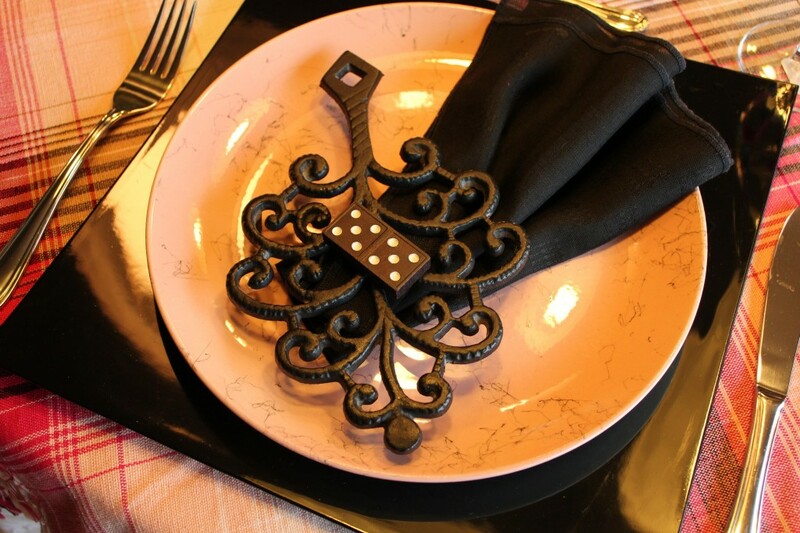 The hanky takes the place of the usual napkin. While I was on the “let’s do something different” path, blue martini glasses replace the expected basket. 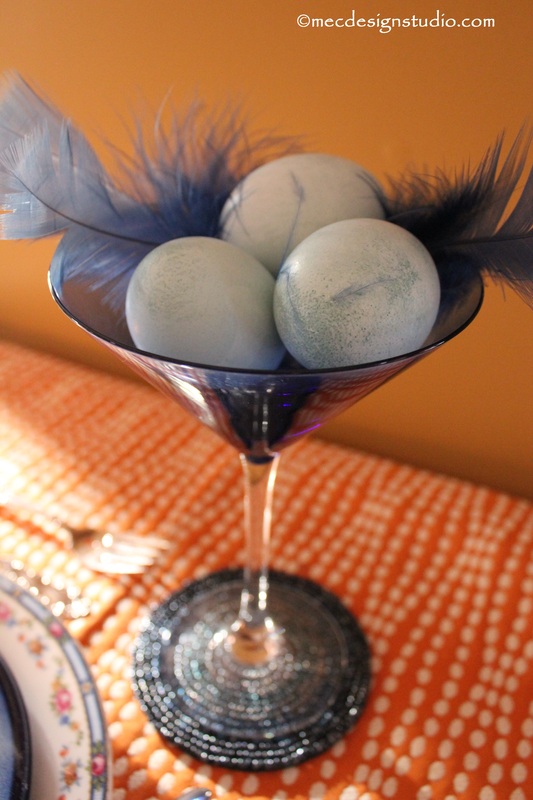 After all, I’m hosting a grown-up Easter brunch this year. A couple more feathers and it looks like the real bunny came to visit. 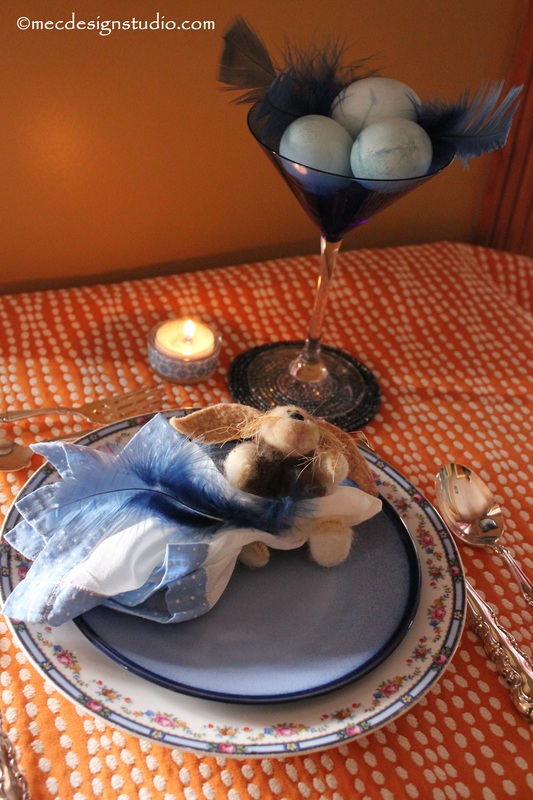 What do you think of my non-traditional Easter table? Yea or Nay? Will you try something different this year? Leave a comment below. Set For Spring~ Happy Mother's Day!